SUPER SQUEEZE is the band you've been waiting for! We will make your event an affair to remember. We are versatile, multi-talented, seasoned, experienced and high energy. We are responsive to your needs. We can add the sizzle to your success in coordinating a variety of events for a variety of people. 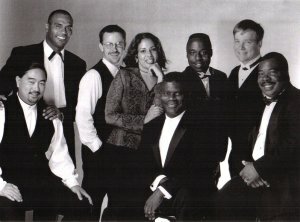 The musicians in the SUPER SQUEEZE have worked for Fortune 500 companies throughout the Bay Area for the past ten years, including Apple Computer, Sun Microsystems, Hewlett Packard, Red Lion Hotels, March of Dimes, Monterey Bay Aquarium, Mark Hopkins Hotel, and many more.